On Monday President Obama announced that he would soon be issuing an executive order that would extend essential protections to employees of federal contractors, which covers LGBT employee protections. 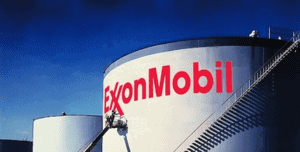 ExxonMobil is one of the government's largest federal contractors. Unfortunately, ExxonMobil has a rather sordid history of repeatedly rejecting LGBT workplace discrimination policies and have even been taken to court for anti-gay discrimination. …a longstanding policy that strictly prohibits any form of discrimination by or toward employees, contractors, suppliers and customers in any ExxonMobil workplace. Our global, zero-tolerance policy applies to all forms of discrimination, including discrimination based on sexual orientation and gender identity. False. Perhaps instead of fabricating lies, ExxonMobil should be spending their efforts on figuring out how to remain in compliance with Obama's impending executive order while at the same time appeasing their bigoted shareholders who voted for 17 years in a row to deny protections for LGBT workers.